StoneyCreek Cast Stone Recognition Awards and Promotional Items - What is Cast Stone? 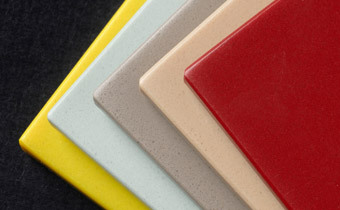 Cast stone is a mixture of crushed quarry stone and resin. It has limitless possibilities because the mixture is a thick batter like consistency when it is poured into the molds. StoneyCreek's® molded items have advantages over traditional stone or metal casting these include lower price, reduced freight costs, unlimited design capabilities, and color choices. 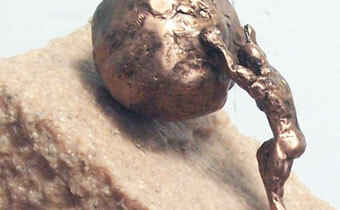 StoneyCreek® is a made to order casting and molding company. By using a molding process we are able to mass produce product efficiently which results in a cost savings to you. The majority of orders that come in require a pattern or prototype to be made initially. The pattern will be sculpted, tooled, and lasered to get the shape of the pattern. Then the art work, logo, or information will be lasered onto the piece. Molding material is poured all around the pattern piece to create the molds. The molds are then filled with the cast stone material which hardens over time. The pieces are then taken to the finishing area where they are painted and assembled if needed. Your order then moves through packaging and onto shipping for delivery to the customer. StoneyCreek® products can be hand washed with soap and water. Exposing them to higher temperatures will adversely affect the finish.